I first encountered Colin Beavan’s “Fingerprints” when his American editor badgered me for a quote to put on the jacket. I am loathe to give jacket quotes simply because it means that a new book jumps to the front of my queue of books to be read and the backlog increases. But the editor was adamant that I should read “Fingerprints” because she claimed it was brilliant, so I did, and it was. Much of the blood and explanation revolves around the horrific murder of Thomas and Ann Farrow in 1905, which the newspapers dubbed The Shocking Tragedy of Deptford. Burglars had broken into Chapman’s Oil and Colour Shop and killed the manager Mr Farrow, who was left with his head smashed, blood running into the hearth and soaking the ashes. Mrs Farrow, who was also brutally beaten, clung to life, and the police thought they had a witness, but she died without regaining consciousness. The case seemed insoluble, until Scotland Yard Assistant Commissioner Melvile Macnaghten stumbled upon the shop’s cashbox hidden under Mr Farrow’s bed. It was adorned with a single fingerprint. The challenge was not only to identify the owner of the print, but to convince a British jury for the first time that they should send a man to the gallows on the evidence of, as Beavan puts it, “a gob of sweat smeared on a piece of metal”. Today, using fingerprints to catch criminals is routine, but a century ago it was a revolutionary concept. Indeed, when fingerprinting was first used by within the legal system, it was used merely for implementing new sentencing policies once a guilty verdict had been passed, and nobody thought that it could ever be used gather evidence. In 1844, Amould Bonneville de Marsangy published “De la Récidivé”, in which he argued for lenient punishments for first time petty criminals, reserving heavy penalties for habitual criminals. Sympathising with these new ideas, Parliament passed the Habitual Criminals Act in 1869, but repeat offenders merely gave false names to avoid harsh sentences. The Act would only succeed if there was a foolproof way of identifying individuals regardless of their aliases. Some suggested using photographs of convicted criminals to identify reoffenders, but there was no obvious way to file the photos; a suspected reoffender would have to be checked against a catalogue containing thousands of mugshots. In France, they tried identification using eleven body measurements, including height, head width and ear breadth. This had the advantage that a criminal’s vital statistics could be filed in numerical order for easy retrieval, but gathering the vital statistics required time, equipment, and expertise. A rival system of identification relied on fingerprinting. Many contributed to the development of fingerprinting, including William Herschel and Azizul Haque in India, but Beavan singles out the Scottish missionary Dr Henry Faulds as the hero of his book. Faulds had become interested in the question of identfication following the trial of the Tichborne Claimant, in which Arthur Orton pretended to be Roger Tichborne, the heir to a fortune who had been lost at sea. Orton almost got away with plan, because over one hundred witnesses mistakenly identified him as Roger Tichborne. However, the flaws in his story were eventually revealed under intense cross-examination, and the trial highlighted the need for a reliable identification system. Then, while studying ancient pottery in Japan, Faulds noticed that potters sometimes left their prints on their work. He studied the prints, realised that they were unique, and used them to identify which pots were made by the same craftsman. Later, when a friend was arrested for theft, Faulds used fingerprints at the scene of the crime to prove his friend’s innocence. The link between prints and crime was forged in Faulds’ mind, and he began researching fingerprints in detail. Faulds tried to prove that prints were unique, that they did not change with age, and that they grew back even when they were scraped off with a razor. 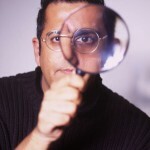 Perhaps his greatest breakthrough was a method of fingerprint classification which allowed easy storage and retrieval. He borrowed his idea from the systems used to organise symbols in Japanese dictionaries. 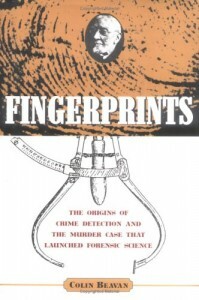 Indirectly, fingerprints led to the conviction of murders as early as 1892. In Argentina, two children were found murdered in their beds. The main suspect was a man who had been spurned by the children’s mother, but Inspector Alvarez discovered a bloody thumbprint at the crime scene, matched it to the mother’s prints, and accused her of the murder. She immediately broke down and confessed. It transpired that she had a secret lover who refused to marry her because of her children, so she had decided to do away with them for his sake. Had the mother, Francisca Rojas, denied everything, then she may have escaped conviction, because it was unclear that a jury would be convinced by the microscopic marks left by fingertips. In particular, nobody had yet proved that no two fingerprints are the same among the billions of people on the planet. In 1905, there was the ultimate test, when fingerprints became the pivotal evidence in the case against those accused of murdering Thomas and Ann Farrow. Of course, I cannot reveal whether the verdict was innocent or guilty. It would be unfair to spoil the ending of Beaton’s non-fictional book, which is as gripping as any fictional crime novel.